Ron Albahary is an instructor in the Center for High Impact Philanthropy’s executive educations programs and currently sits on the industry advisory board for Aligning Equity (working title), the Center’s joint initiative with Tara Health Foundation and Wharton Social Impact Initiative examining current gender lens investing opportunities in public equity. Ron Albahary has spent his entire 28-year career as an wealth management “designer.” He wakes up every morning passionate about tailoring behavioral finance-based solutions to achieving client goals. Over the past seven years he has focused on identifying macro themes where acute environmental and social issues intersect with the opportunity to deploy capital while seeking a risk-adjusted market rate of return. Prior to the sale of the firm, Ron served as executive committee member and Chief Investment Officer (CIO) of Threshold Group, an independent wealth management company providing holistic advisory services to over eighty high net worth individuals, multigenerational families, and foundations overseeing $3.4 billion in assets under management. As a member of the 4-person executive committee, he partnered with the executive team to develop and execute the strategy of the firm as well as operate all facets of the company. As CIO, he led the firm’s team of 12 investment professionals, and was responsible for investment strategy and process, thematic development, asset allocation, portfolio construction, manager selection, risk management and macroeconomic research. 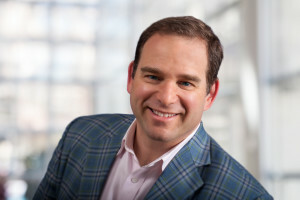 Additionally, he designed and executed the strategic vision to build an impact investing platform enabling Threshold Group to become the widely recognized leader in the impact investing advisory sector with nearly half of the $3.4 billion in assets in the hands of clients targeting “total portfolio activation” i.e. alignment of the portfolio with their mission, values and/or philanthropic goals. Over the course of his 28-year career, Ron has served as a wealth management executive, CIO and investment leader of $200 billion with an emphasis on the customized needs of high-net worth private investors, families, retirement plans and family foundations. Ron has also been a featured speaker at many industry events and serves as a regular source and commentator for financial news media including the Wall Street Journal, Washington Post, and CNBC, among others. Ron earned a Bachelor of Science degree in Economics from the Wharton School of the University of Pennsylvania. He is a CFA® charterholder and is a member of the Chartered Financial Analyst Society of Philadelphia.